In most hiking and backpacking gear categories, $100 won’t get you far – but it’s enough to snag a solid entry-level daypack. 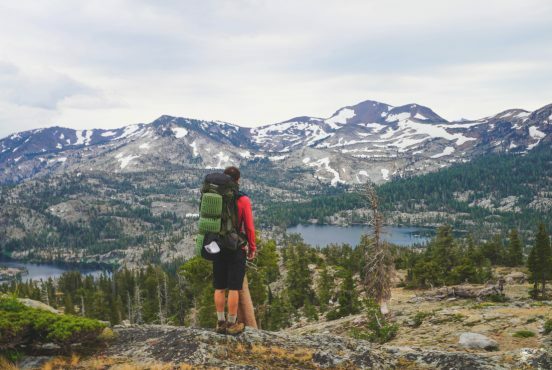 Today’s most popular hiking daypacks come loaded with convenient and comfortable features, and though some of them can run you $150 or more, there are plenty of options for those looking to minimize their spending. We’ve rounded up eight packs ideal for entry-level hikers just getting started, or experienced hikers looking to cut the frills and stick to the basics. 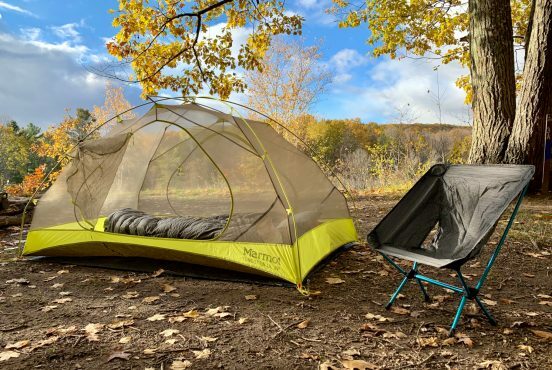 Either way, you’ll find a range of sizes and options that can fit your activity level, capacity needs, hiking gear, and of course, your budget. 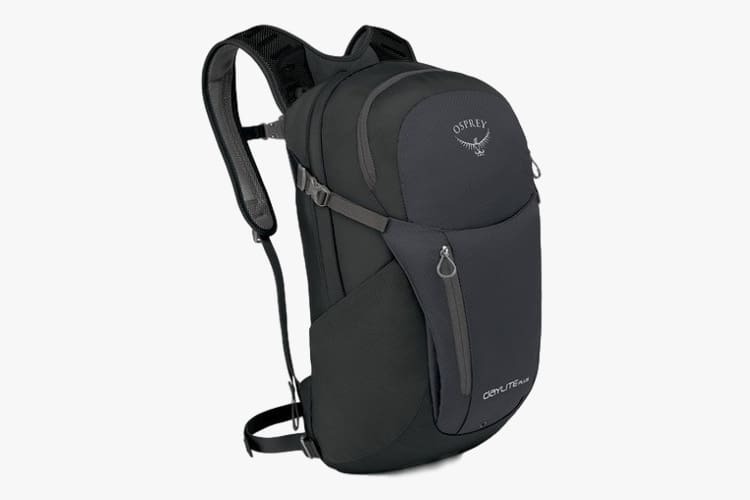 Osprey holds quite the reputation when it comes to packs. Outfitting hikers since 1974, their attention to detail from pockets to stitching easily put their packs at the top of any wishlist. At the top of ours is their Daylite Plus. Beyond the price point, when determining the right daypack you’ll want to consider comfort, weight, durability, and ease of use. The Daylite Plus checks all boxes. 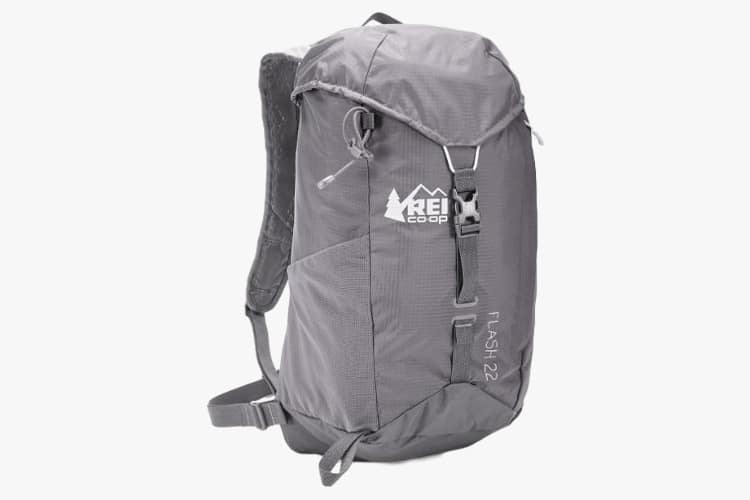 It features padded spacer-mesh straps and a mesh die-cut foam back with ventilation for comfort, an easy loading main compartment, front Shove-It pocket, 20-ounces of pack weight, and quality construction. Another feature that comes in handy is the versatile interior sleeve, which can hold an Osprey hydration reservoir or a laptop. While ours mostly hauls water, it’s nice to have options. Performance on a tight budget can be hard to find. That’s when we turn to REI. When designing their own product line, they rummaged through closets to find what every outdoor enthusiast had in their collection. Discovering no outdoor brand offering a line specifically tailored toward those essentials, they found their niche and based their Co-Op line on those needs. The Flash 22 is part of that niche. Like other pieces in their ‘cooperatively designed’ line, this pack delivers at a reasonable price. It’s top-loading to provide ease of use while the storage capacity is rather roomy at 22-liters. The comfort level fits the price with lightly padded straps and a breathable padded back included. “Probably wouldn’t use it for my Everest Base camp dream hike but for what I’m doing these days it’s perfect,” said one reviewer. While anyone who’s drooled over ultra-light gear will tell you it costs a pretty penny, the Flash 22 fits into this category within your budget making it an excellent choice for a daypack. Entrepreneur and founder Yvon Chuon has turned Patagonia into a colossal empire. We could write a whole dissertation praising Patagonia’s impact — from the outdoor industry to the environment — but for the sake of time we won’t. We’ll merely mention this: in 2012 they became one of the first Certified B Corps in California and are home to a cutting-edge product line worth every damn penny. If you’re looking to make a solid investment in a hiking daypack, take a look at their Arbor Classic Pack. At just under $100, the Arbor Classic is an affordable throwback to their heritage packs. 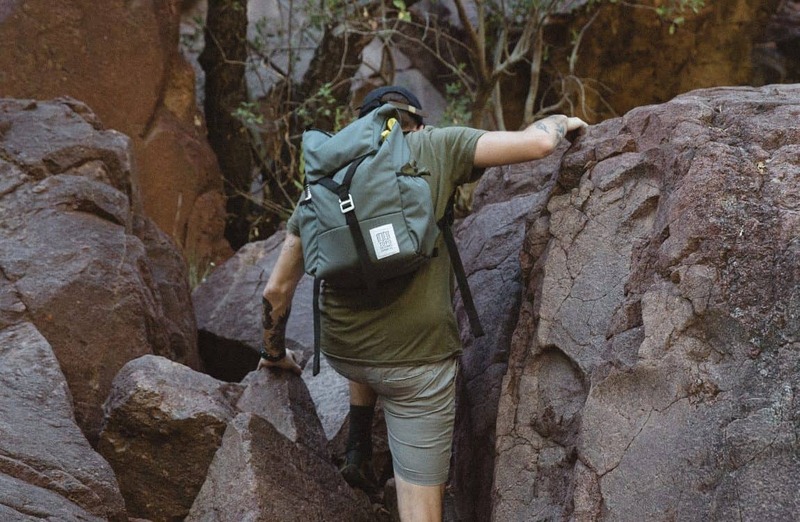 This pack can handle a heavier load with its 24-liter capacity, giving you plenty of space to store any extra necessities should you decide to turn your saunter into an epic all day adventure. It’s made from a durable recycled polyester with a water-repellent finish and features a synch and strap main compartment for all you old-schoolers. City, beach, or mountain trails, this pack is ready to go for a stroll. 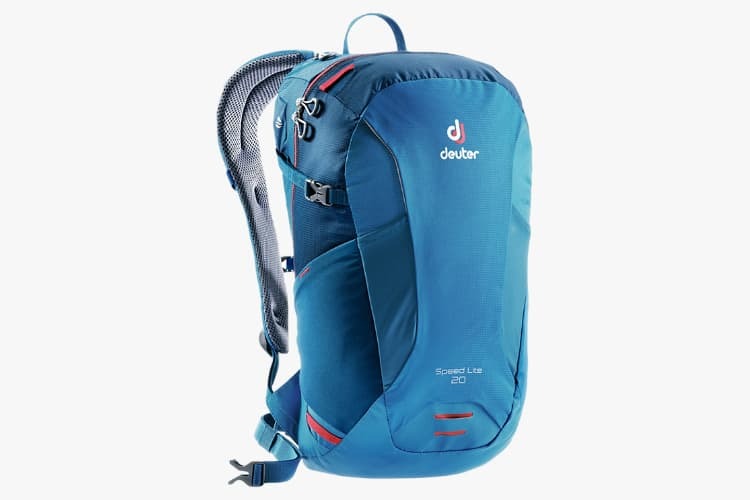 Deuter got its start in1898 when founder Hans Deuter equipped the Bavarian Royal Mail with carrying sacks. Now, they’re supplying modern outdoor enthusiasts with packs designed to perform. 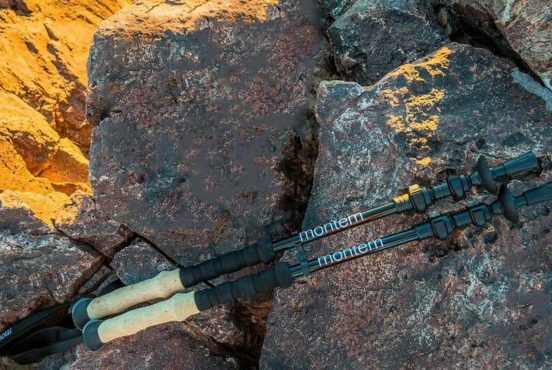 If you’re the type who spends day hikes scrambling around boulders or beating the FKT (fastest known time) on the ascent, you’ll want something agile. The Deuter Speed Lite 20 is your answer. This lightweight pack was purely designed for movement. The ergonomic S-shaped straps contour to your body while the clever athletic V-shape keeps the load in check. It’s recommended you keep your load light to medium for optimum performance. If you’re going on a long trek you may want to consider another option. Topo Designs invokes a warm feeling of nostalgia. Longing for the gear they grew up with, founders Jedd Rose and Mark Hansen decided to focus on turning timeless classics into useable gear for the modern day man. From style to durability, Topo Designs offers gear like it was made back in the good ol’ days. If you find yourself reminiscing like Rose and Hansen, you’ll be delighted by their Y-Pack. Minimalism at its finest, this pack harkens back to a simpler time when all you needed was your trusty pack and a map to get you there. We’ve tested the Y-Pack in the field and found it to be one of the most versatile, easy-to-use daypacks out there. The flap style pack opens up to a drawstring closure and spacious main compartment to keep you out in the wilderness until you’re ready to hit the hay. 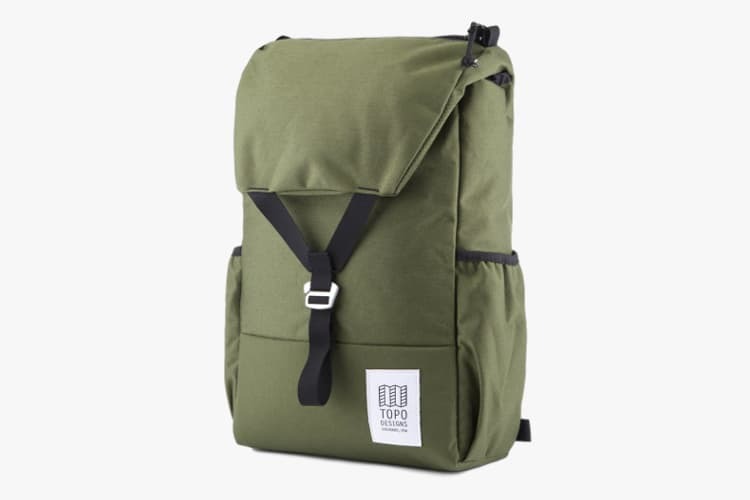 With a few simple features, this canvas pack keeps organization a breeze while the padded straps keep you comfy. While we do admit we love ripstop as much as the next guy, there’s something to be said about a thick nylon pack. 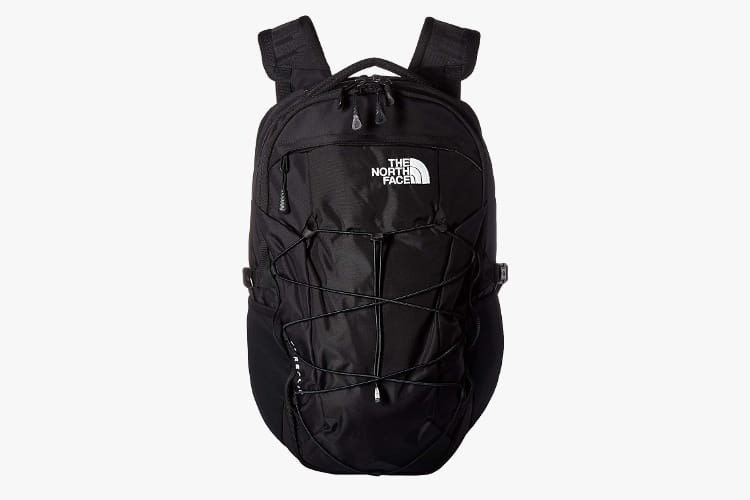 The North Face has inspired and geared up outdoor lovers for over fifty years. We suspect you’re one of them. 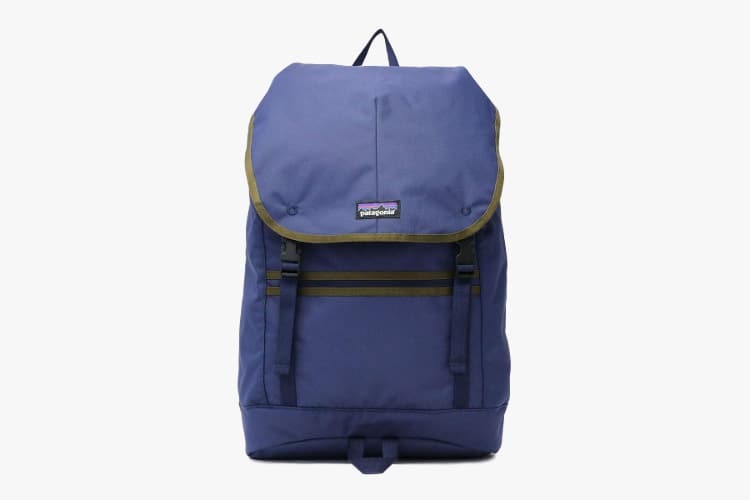 For those who can’t pass up a day hike, consider the Borealis backpack. Although it’s one of the pricier packs on our list, you’ll get what you pay for. The Borealis is made from 210D Cordura® nylon ripstop and features a FlexVent™ suspension system for comfort. The storage specs leave nothing to be desired, as it offers a ridiculous amount of features. There’s the large 28-liter main compartment with a plethora of organizational pockets, two mesh water bottle pockets, fleece-lined sunglasses pocket, and updated front bungee system. Available in twelve colors, this pack is versatile and offers something for every style. San Diego-based Gregory makes comfort and ergonomics a priority. They’re the first and only manufacturer on the market to include adjustable hipbelts which fit the different angles of your body. 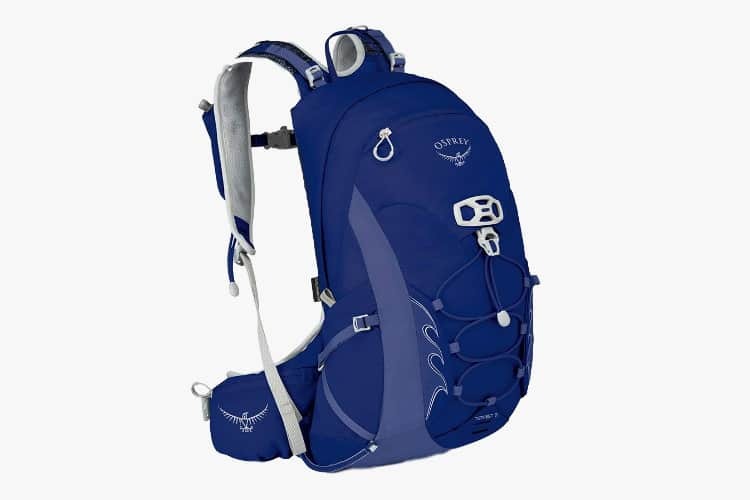 For those looking to make a day of it, we recommend their Inertia 25 Hydration Pack. Speaking to your contours, the Inertia 25 features a ventilated die-cut padded shoulder harness with load lifters to stabilize the weight. The padded hip belt is an appreciated touch. While we’re diggin’ all that, the main highlight is the hydration system. 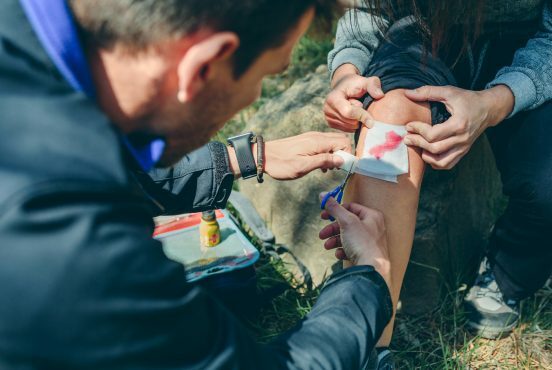 Whether you’re bagging peaks or searching for swimming holes, you’re going to need plenty of H20 and a bulky water bottle isn’t going to cut it. That’s why Gregory paid extra attention to this essential feature. The quick-release and dry 3-liter 3D Hydro Reservoir comes equipped with a SpeedClip mounting system, shut-off bite valve, and magnetic sternum strap. Best of all, the entire system is designed to stabilize weight. Ladies, we’ve got one especially for you. Finding a backpack with shoulder straps and a hipbelt offering a snug and comfy fit when trekking up elevation can be a challenge. May we present the Osprey Women’s Tempest 9. Light and fast, Tempest 9 is specifically designed to fit the contours of the female figure. The Biostretch harness features shoulder straps made for a woman’s body, while the die-cut foam continuous wrap hipbelt adds extra support around the hips. Together, the two provide stability and comfort so you can spend your time enjoying the adventure instead of worrying about your pack. 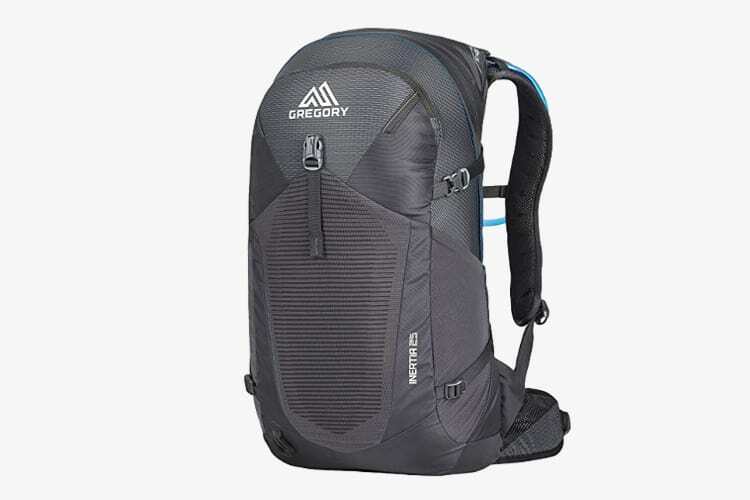 If you’re the adventurous type, and we’re betting you are, you’ll appreciate this multi-sport backpack that comes with all the bells and whistles, including an external hydration sleeve, front bungee storage, dual-zippered main compartment, trekking pole and bike helmet attachments, compression carry straps, extra zipper slash pocket, and hipbelt pockets. While it comes in just at the peak of your $100 budget, it’s well worth it. 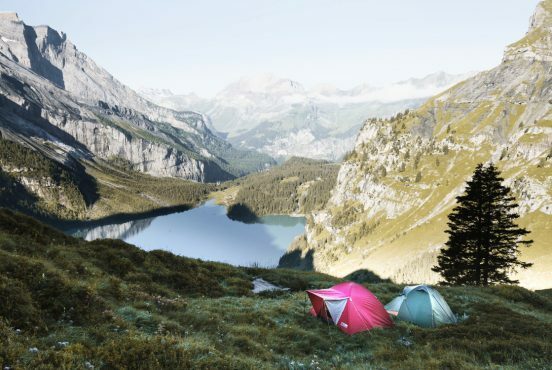 For more hiking and backpacking bargains, check out our list of the best backpacking tents under $100, or read our Topo Designs Daypack review if you’re looking for something US-made at a solid price point. Carissa is an outdoor freelance writer who loves nature, yearns for a good campfire, and lives for the next adventure. When she’s not tapping away at her computer you can find her exploring trails with her partner Taif. She’s currently based in Washington, where she hopes to one day catch a sighting of the elusive fisher in its natural habitat. 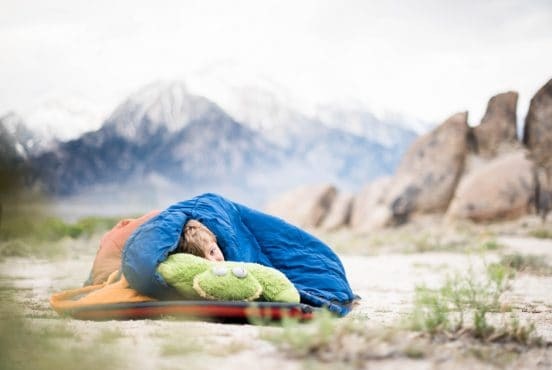 When you’re ready to pass along your love for the outdoors to your little ones, it’s time to invest in a quality kids sleeping bag. Chukka boots burst upon the scene nearly a hundred years ago. A traditional yet hip design, these classics are a staple footwear for men of good taste. 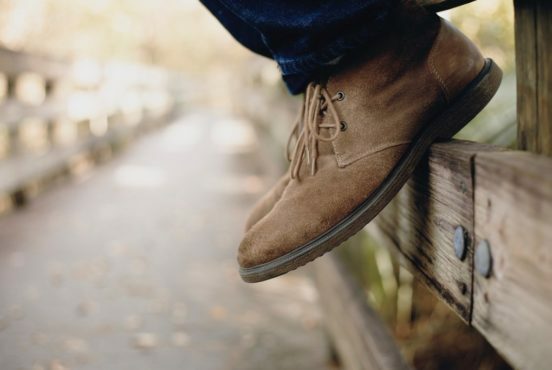 And like any timeless style, the chukka’s got a sweet backstory. In the world of backpacking, weight is everything. Comfort is a luxury. 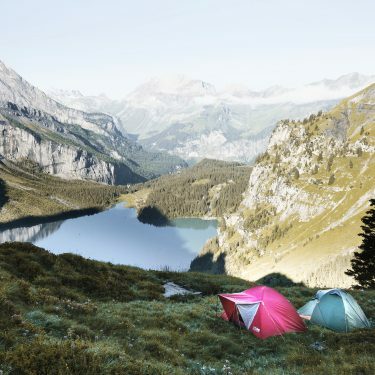 You can have both with a cleverly designed backpacking chair. Tired of Sleeping on the ground? 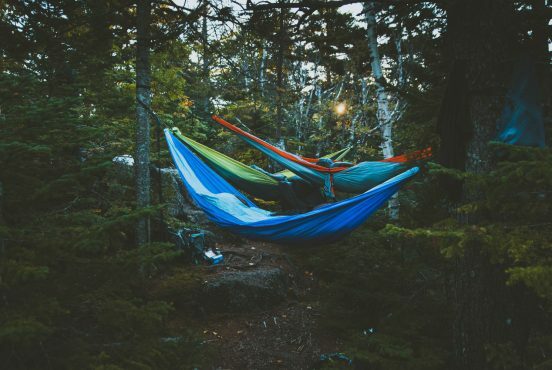 It’s time to ditch your tent and embrace the hammock. Inspired by Central and South Americans who have been sleeping in hammocks for thousands of years, more campers are giving the ancient practice a try each year. The hammock camping movement continues to pick up traction as people realize how much fun (and comfortable) it is to swing between a couple of trees under the stars. There isn’t a hard-and-fast rule about using one over the other based on the season. Rather, it’s a case-by-case decision that comes down to the expected weather conditions and your personal preferences. Hiking can get expensive, but a pair of entry-level hiking boots can help keep your costs down. Here's how to do it.